Lucifer has some new company. Deadline reports Vinessa Vidotto has joined the Netflix revival series for season four. As reported earlier, Netflix picked up the comedy-drama after FOX cancelled it. The cast includes Tom Ellis, Lauren German, DB Woodside, Lesley-Ann Brandt, Kevin Alejandro, Rachael Harris, Aimee Garcia, Tricia Helfer, Scarlett Estevez, and Tom Welling. Season four of Lucifer is expected to debut on Netflix in 2019. What do you think? Are you a Lucifer fan? Are you excited for the new season? 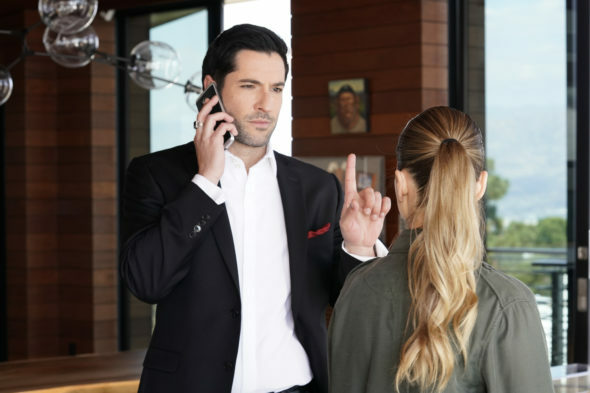 More about: Lucifer, Lucifer: canceled or renewed?, Netflix TV shows: canceled or renewed? Albeit, I am a late viewer joining the Lucifer Club, but I definitely give this show a 5 Star rating. I am so glad Netflix saved this show!! Can’t wait to see new episodes in 2019!! GO LUCIFER !!! Ys Yes. Bring it back. I adore Tom Ellis’ character. Everyone else is superb, but Lucifer character, love it. And the fact that he looks so much like my son. Thank you, Netflix, for bringing back my favorite show. I would subscribe just for this show if I wasn’t already getting Netflix. Can’t wait to see the new episodes! I would love to see Lucifer back on the television as a series. Love the show and so does my granddaughter and senior mother. This show is one that brings us 3 ladies together. Hopeful it can be returned to a tv channel.